When we talk about innovations in health care, we tend to focus on improving the patient experience through consumer-facing products and technologies. We look for more comfortable, efficient care that’s easily accessible and navigable—ideally at a reasonable cost. But high-tech exam rooms, cutting-edge treatments, and wearable technology aren’t the only things that help patients get the care they need, when they need it. The other side of that equation is found in the backend infrastructure of the healthcare industry: the data management systems and applications that do everything from schedule appointments to monitor patient outcomes to analyze research findings. This month’s hot startups, Ayasdi, Kyruus, and TytoCare, all take different approaches to maximizing patient well-being while increasing capabilities and reducing costs in health care. Ayasdi has turned its AI platform toward large-scale healthcare data analysis, Kyruus is helping to minimize inefficiencies in medical scheduling, and TytoCare is working on perfecting the next wave of telemedicine. All three companies hope to make the healthcare field better for patients and practitioners alike. For a look into how tech is driving healthcare goals, we are featuring Ayasdi, Kyruus, and TytoCare as our hot startups of the month. 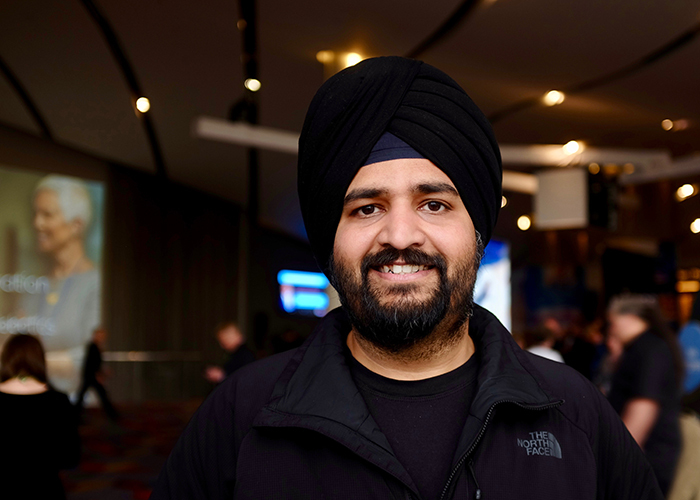 Ayasdi uses its AI platform to design and deploy enterprise-scale intelligent applications, and it specializes, as Singh puts it, in “the kinds of applications where you have lots and lots of data, and you can’t afford to throw away any single bit of that data.” So much essential data, in fact, that human beings alone couldn’t process all of it. Healthcare is an apt example of an industry that needs such applications to retain, organize, and analyze all its data to reach deeper insights and more efficient ways of providing care, both to maximize patient well-being and to reduce costs. Patients and practitioners alike can attest that there’s plenty of room for improvement in the healthcare industry when it comes to efficiency and cost reduction. Singh points out that the function of the software employed by most large enterprises—be they hospitals, insurance companies, or banks—is to aggregate data from or about users or customers: “By and large, it’s to collect data, shuffle data around, and move it into various systems, and so on and so forth. These functions have improved significantly, but now is the time to extract value from that data.” And this is exactly what Ayasdi’s AI platform is able to do more efficiently than the legacy software currently operating in most large institutions—extract value from large complex data sets. To learn more about Ayasdi, listen to our conversation with Singh. Kyruus co-founders Julie Yoo and Graham Gardner met in graduate school while pursuing different areas of study. 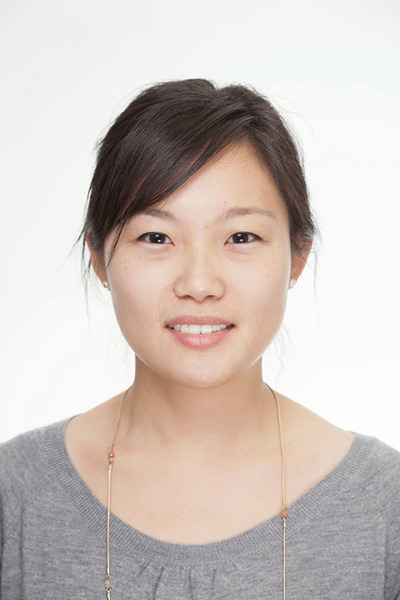 Yoo has a background in big data and software engineering, while Gardner was a cardiologist who practiced in the Boston area before going into venture capital. As a healthcare provider, Gardner had first-hand experience watching patients be sent to the wrong specialist for their needs and then having to be referred again, only to wait weeks to be seen by the right doctor. As Yoo describes it, “Not only does that lead to a bad patient experience and provider experience, but it obviously has a clinical impact, potentially worsening the patient’s condition and not allowing them to get the care that they needed.” Together, Yoo and Gardner set out to solve the problem by creating a provider search, scheduling, and data management solution for health systems. 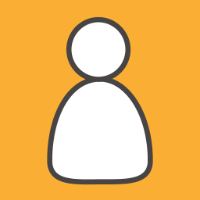 Founded in 2010, Kyruus works to solve the “patient access paradox,” which is the notion that patients are often told there are long wait times for open appointments with providers, when in reality many health systems are operating well below their available capacities. Plus, as Yoo and Gardner discovered, physicians often make referrals based on familiarity; they refer patients to other physicians with whom they’ve worked or trained, or to physicians who occupy the same office spaces as they do. The health care industry needed a system to accurately and efficiently match patients with the correct providers for their needs. With Kyruus, health systems are able to leverage data to reduce barriers to access. As Yoo points out, when it comes to the scheduling runaround, “there’s also the financial impact on the health system in the form of lost revenue opportunities.” She explains, “You’re spending tens of millions of dollars implementing these platforms that will allow you to capture data about patients and book appointments. But how are you acquiring new business, and how are you making sure that you’re retaining that business once you have those customers?” This angle, combined with Kyruus’s focus on increasing patient access to providers, got the attention of clients. Today, over four hundred hospitals and 30 large health systems are using Kyruus, representing about 120,000 providers. So what’s next for Kyruus? Yoo sees a lot of opportunity for both consumers and health systems. Plenty of companies are doing new things with patient data and clinical cases using EHR data, but Kyruus is especially focused on the operational aspects of scheduling. Across scheduling platforms including Epic, Cerner, Athena, and GE, Yoo explains, “there are almost too many standards, and the adoption and implementation of those standards is highly heterogeneous and, ironically, not standard.” When health systems’ schedules are standardized, consumers benefit from increased openings in online scheduling, more self-service capabilities, and a consistent experience no matter the starting point. Like many parents, TytoCare CEO and co-founder, Dedi Gilad, found himself visiting the pediatrician with his young children nearly every other week. The time-consuming process was second nature: wake up, get the kids dressed, call in late to work, sit in traffic, and then wait in a physician’s office where he and his children would be exposed to who-knows-what kinds of germs. Usually, the doctor diagnosed a simple ear or throat infection that could be cleared up with rest and medicine. It made Gilad think: Could this whole interaction happen remotely? From its inception, Tyto focused on recreating the examination elements of primary care through telemedicine. In the United States, people visit primary care physicians for acute conditions approximately 800 million times per year. As Gilad explains, “You’re usually being run through a physical exam, imaging of the ear, throat, and skin. The physician is listening to your heart, your lungs. It’s part of the basic way of practicing medicine. And TytoCare really replicates that.” Patients can use the company’s handheld device and app to take a variety of measurements that are then sent to a clinician for diagnosis. Tyto uses a combination of visual sensors to perform ear, throat, and skin imaging, as well as sound sensors and a stethoscope to examine the lungs, heart, and abdomen with medical-grade quality. The system also gives guidance on how to position the device against the body, take measurements, and how to validate the quality of the exam. A smart thermometer and heart rate calculator complete the examination. TytoCare is able to cover about 60 to 70 percent of what a primary care physician typically does during an appointment. To learn more about TytoCare, please visit their website.